Страницы: Пред. 1 ... 12 13 14 15 16 ... 25 След. О чём говорит наше ничегонеделание в дальнем космосе? Не о том, что наши инженеры не способны, а о том, что наши первые лица государства и Роскосмоса не могут организовать работу передовых производств. Слов, как всегда - выше крыши, а дел - ниже плинтуса. Так что не надо принижать роль соревнования. По его итогам видно, кто на что способен. Опубликовано: 4 янв. 2019 г.
the terrain camera is sending back images. 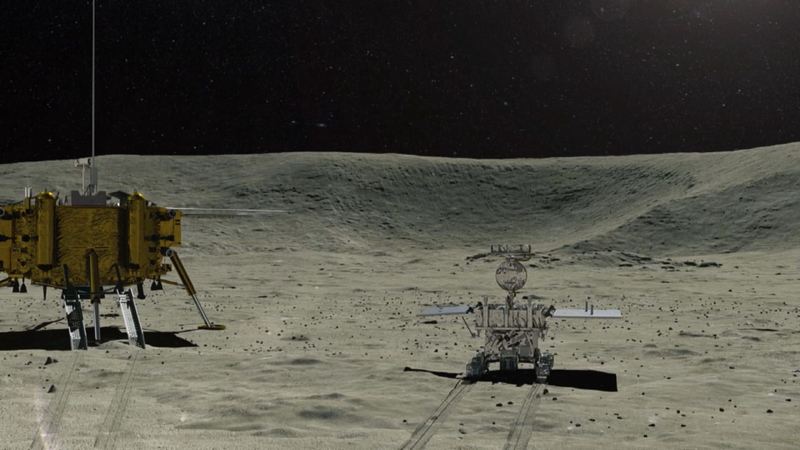 Chang'e-4 lunar mission: What's next for lunar rover Yutu-2? 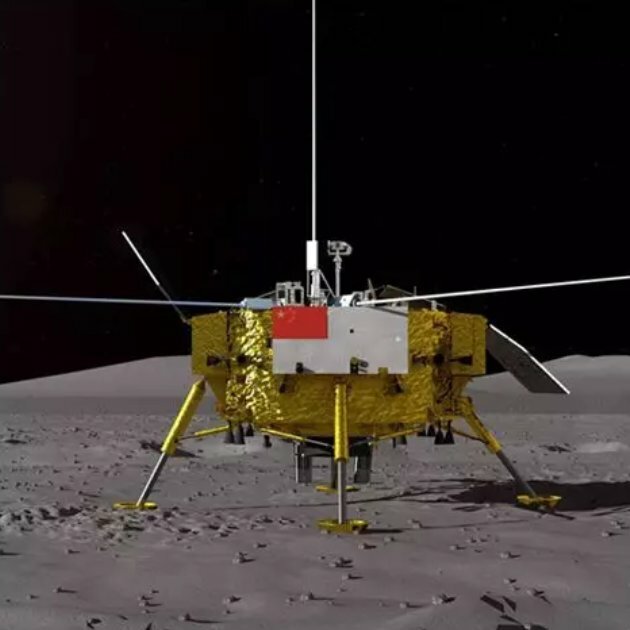 After being dispatched from the lander, China's latest lunar rover Yutu-2, or Jade Rabit-2, is now rolling on the far side of the Moon. What are the major highlights of the new rover? And what can we expect next? 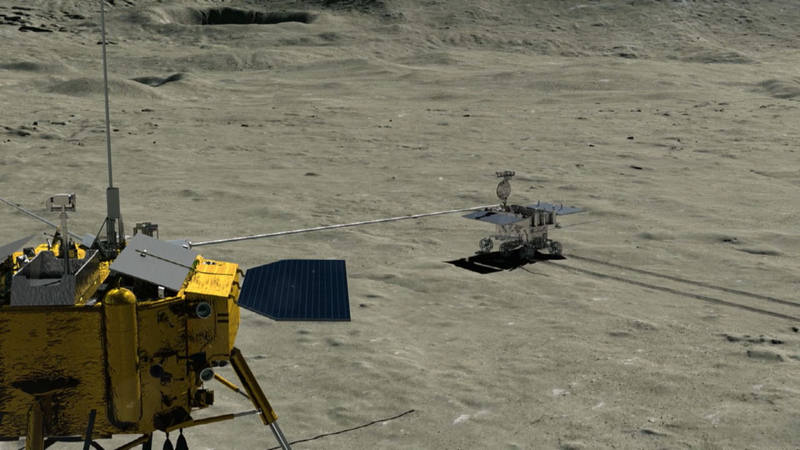 After almost seven hours of operation, the new rover Yutu-2 has finally rolled down from the lander. 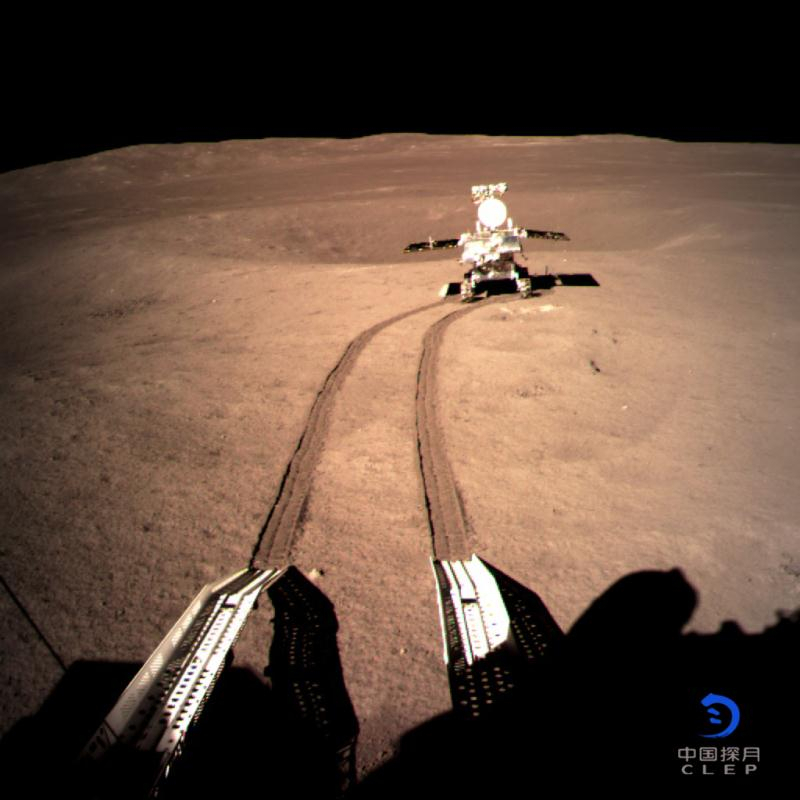 "What's next for the rover is to take a picture of the front side of the lander, after that, it will go to its planned area and start a series of scientific exploration projects in the Von Carmen crater," said Zhang Yuhua, deputy chief commander and designer for the Chang'e-4 lunar mission. The Jade Rabbit-2 will survey the lunar terrain during the Moon's daytime which lasts until January 12. After that, a 14-day-long Moon night is expected to come. As of 17:00 on January 4, the three five-meter antennas of the low-frequency radio spectrometer on the lander were deployed in place. The neutron and radiation dose detector was ready for testing in Germany. Images from the topography camera were successively transmitted back to the ground. 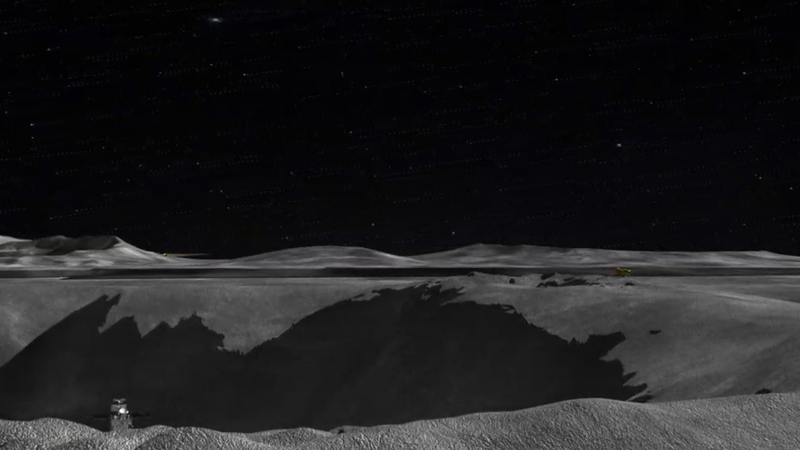 The perambulator and the relay star successfully established an independent data link, completed environmental perception and path planning, and walked on the lunar surface to point A as planned to carry out scientific exploration. The Moon-measuring radar and panoramic camera have been turned on and are working normally. Other payloads will also be switched on. The latest data show the current temperatures during the Moon's daytime can reach as high as over 107 degrees Celsius, while at night, some experts estimate temperatures will drop to 180 degrees Celsius below freezing, according to Zhang. According to scientists, the lander and rover will enter a rest mode due to the high temperature. "While during the Moon's night time, the rover will enter a dormant state, it will store away its solar panels, just like sleeping and being covered with a quilt," said Zhang. 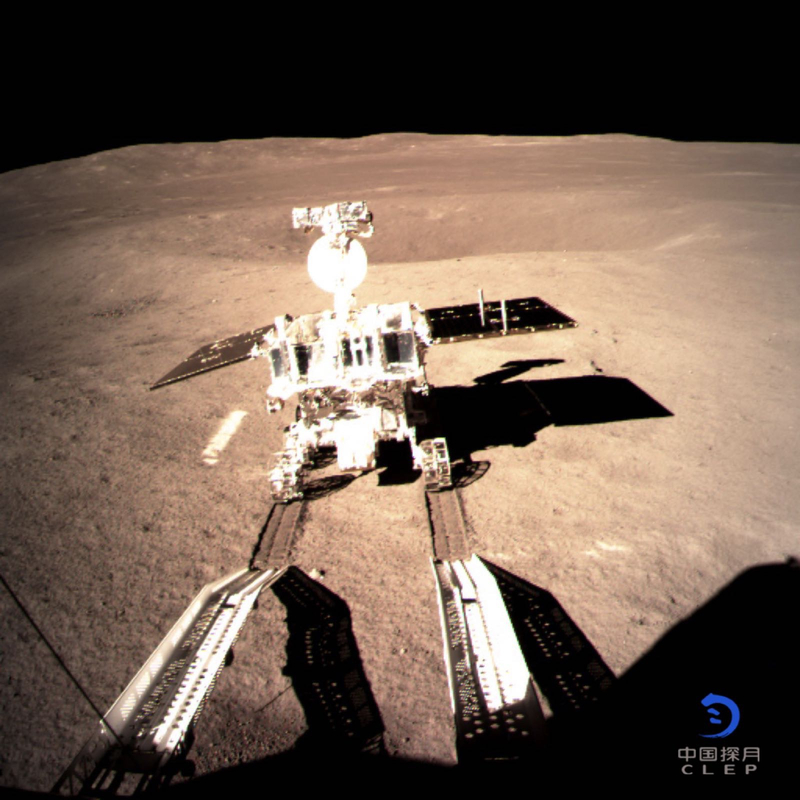 Jia Yang, the deputy designer of the rover system for the Chang'e-4 lunar mission, told CGTN that one of the major challenges for the rover is the natural environment on the far side of the Moon. Rocks, craters and soft lunar soil are major obstacles in conducting further exploration. The outlook for the Chang'e-4 rover is very similar to its previous model, the Jade Rabbit. But scientists say they have updated many of its materials and technologies so that it can withstand the extreme weather and other challenging conditions on the Moon. 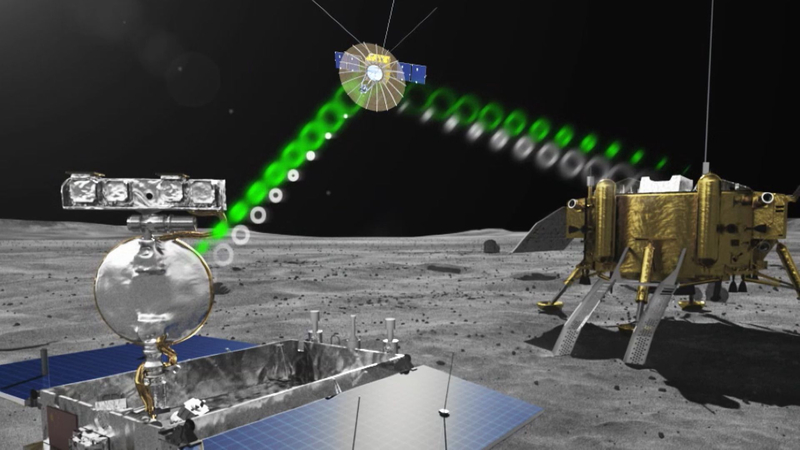 When it comes to the communication bridge, the relay satellite Queqiaoits, its chief designer Zhang Lihua explained that the satellite will continue to provide long-term and stable communication services to ensure that the Jade Rabbit-2 is in stable condition, and also to serve other global lunar spacecraft. The Yutu or Jade Rabbit is a symbol of kindness, purity, and agility in Chinese culture. Although the Jade Rabbit-2 is also designed to work for three months, scientists hope it can complete its exploration and have a more stable and long journey. BEIJING, Jan. 4 (Xinhua) -- Lunar rover Yutu-2 has been driving on the far side of the moon after separating from the lander and scientific devices on both the lander and rover are currently gathering data, the China National Space Administration (CNSA) said late Friday. ПЕКИН, 4 янв - РИА Новости. Китайский луноход "Нефритовый заяц-2", совершивший в составе миссии "Чанъэ-4" первую в истории мягкую посадку на обратной стороне Луны, перейдет в режим "сна" до 10 января, говорится в сообщении Китайского национального космического управления (CNSA). "После этого посадочный модуль "Чанъэ-4" в наступающий лунный день пройдет высокотемпературные испытания, а луноход "Юйту-2" перейдет в режим "сна", и согласно прогнозам "проснется" 10 января", - говорится в сообщении управления. "Чанъэ-4" успешно прилунился в четверг в 10.26 по китайскому времени (05.26 мск), а уже в 11.40 по китайскому времени (06.40 мск) аппарат сделал первый в истории снимок поверхности обратной стороны Луны с такого близкого расстояния и передал его на Землю. Можнт РИА что перепутало? А то ведь с 12-го ночь начинается! 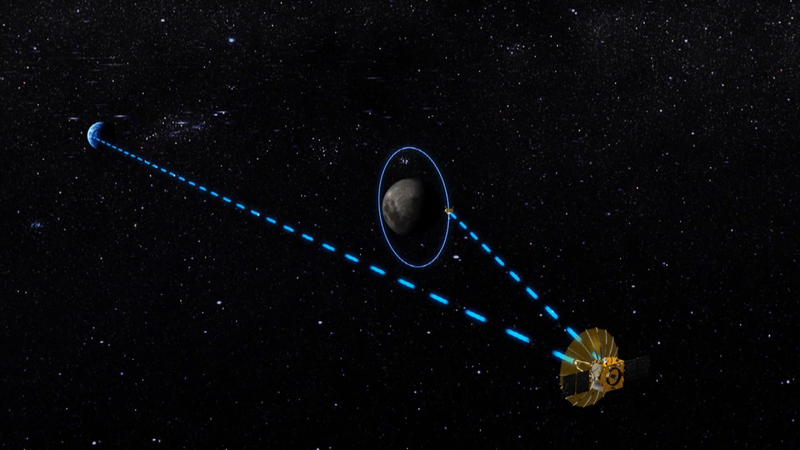 ...The Jade Rabbit-2 will survey the lunar terrain during the Moon's daytime which lasts until January 12. After that, a 14-day-long Moon night is expected to come. А с какого по какое (дата-время) в данном конкретном месте начинается и заканчивается ночь?